Let’s talk about the most satisfying aspect of moving: Taking it off your taxes. After this difficult and uprooting process, what could be more gratifying than to recoup some of the expense? If your move is related to getting a new job, you may be able to deduct moving expenses. Your new job location must be 50 miles or more from your old home, and less than 50 miles from your new home. You must start the job within one year of the move (with some exceptions). You must work full-time 39 weeks of the 52 weeks after your move. If you own your own business or are starting one, the requirements are much the same as for job-related moves. You must work 39 weeks of the first 52 weeks after your move, or 78 weeks during the first 24 months. If you are a member of the armed forces and on active duty, you may be able to deduct moving expenses the military doesn’t reimburse. A move to your first post or from one permanent post to another may qualify, and moving expenses of your spouse and dependents may be deductible too. Those who worked overseas and are now retiring and moving back to the U.S. may find their moving expenses are tax deductible. If your spouse, parent, or dependent was working overseas and died, you may be able to deduct moving expenses if you move within 6 months of their death. To be sure you qualify for these deductions, ask a tax professional or visit www.irs.gov for more details. Few Moves Moving Company will provide you with the receipts you need to deduct your moving expenses from your taxes. 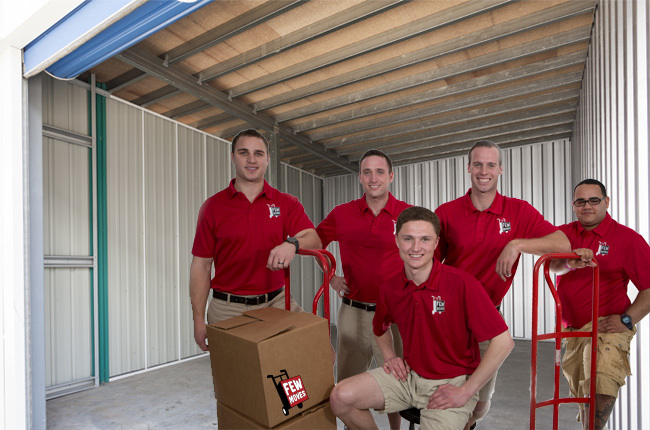 Because Few Moves is a full-service moving company, we can handle all your moving needs. For help with planning, packing and unpacking, supplies, loading and unloading, and other services, call Few Moves today at (919) 999-6201 in Raleigh or (910) 512-6999 in Wilmington, or request a quote online.